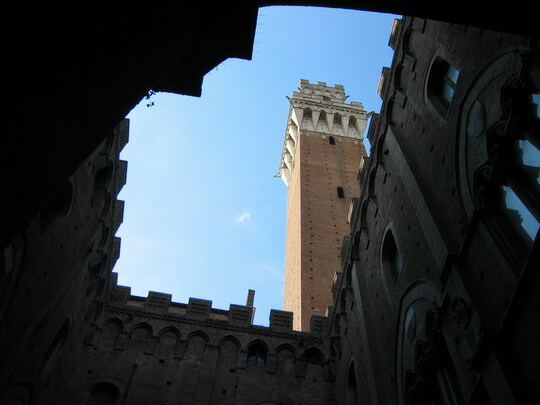 Siena was one of the highlights of my trip. I loved this city, and wish I had spent more time there. 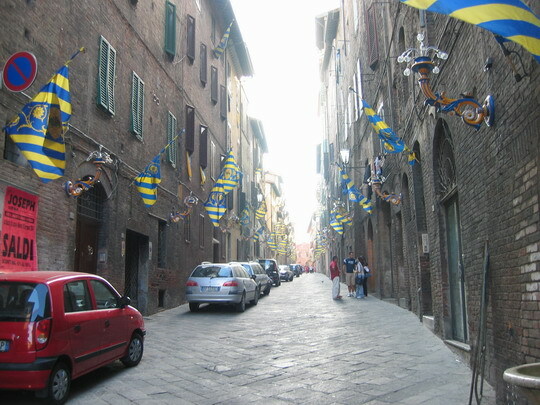 Siena does not allow vehicles into the city center. It is a city with many twisting, hilly roads. The city is made of 17 different neighborhoods. 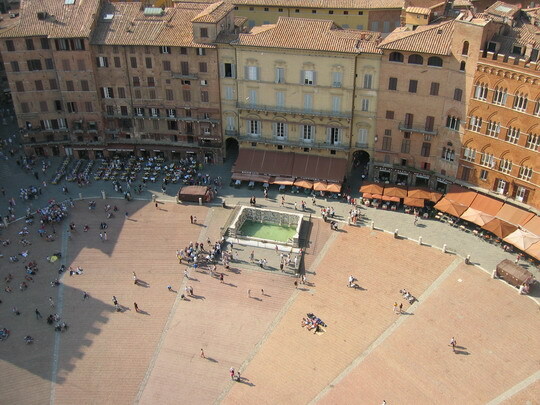 In the center of the city is the Piazza del Campo, where they run a horse race every year. 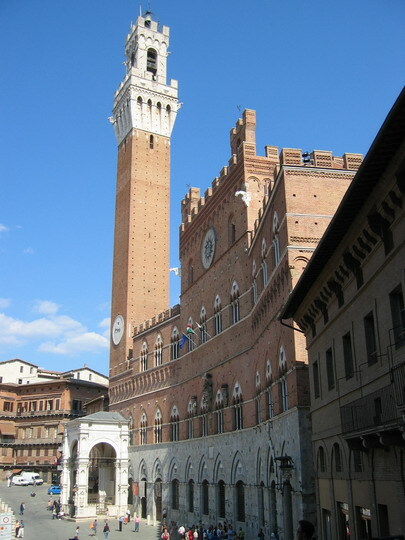 Looming above the Piazza is a giant tower. 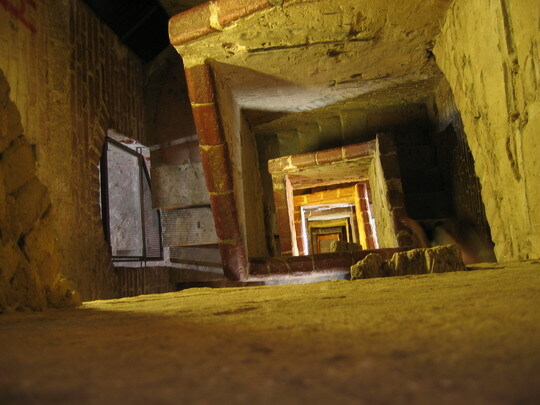 It is over 400 steps to the top of the tower, and there is no elevator. I climbed to the top of the tower. I’m no expert with distances, but I would estimate that the 400 steps took me two or three miles above the city. It was really high. Quite honestly, the top of the tower was the high point of my trip both figuratively and literally. Once you get to the top of the tower, your heart is beating quickly, and you feel like you can see for hundreds of miles. A view of the tower from a corner of the the plaza. Looking up at the tower from a courtyard at the base. 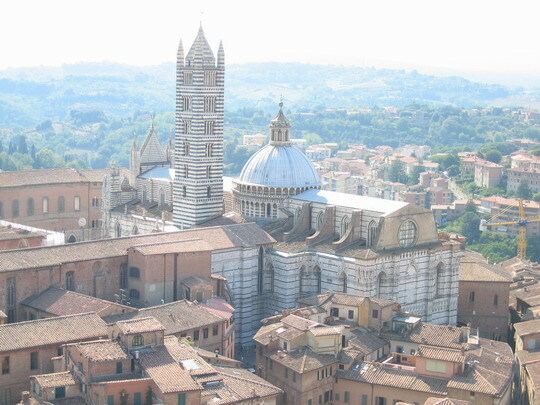 View of the Duomo in Siena from the top of the tower. Me at the top of the tower. As you can easily see by this photo, we are clearly several miles above the Earth’s surface. A long, long way down. 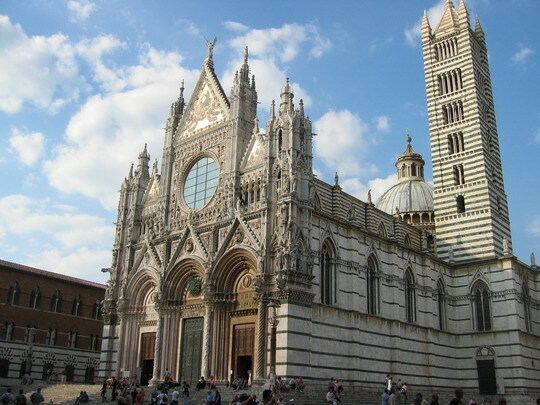 The Duomo in Sienna is very similar in style to the Duomo in Florence. The tower is not actually bent; that is just an artifact from the camera lens. 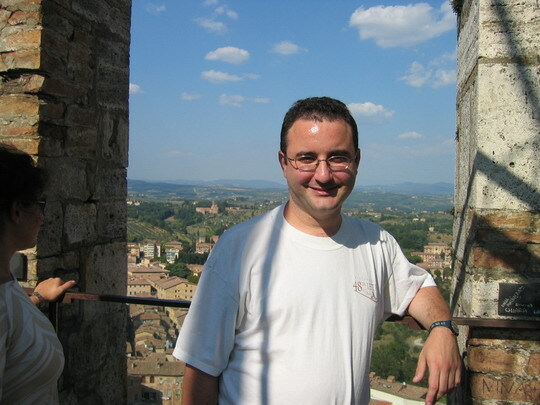 I mentioned that Sienna has 17 different neighborhoods or Contrade. People are very proud of their neighborhoods. I believe this is a street in the neighborhood of Tartuca. You can read more about the horse race in Sienna; this site has a pretty cool description of the horse race and the city in general. It’s mainly in Italian, but there are also English links.